Video Games Live is preparing their turbines for another year of Concerts, starting off with San Jose, California. Tickets are now available. At the bottom of this page is a stream of the live orchestra playing the World of Warcraft intro music by Jason Hayes. Tickets for our first show of 2006 in San Jose, CAMarch 24th officially go on sale to the public next Monday, January 16. However, we wanted to give you first crack at the best seats! You can get access to the best tickets which are now available via Ticketmaster before we announce to the general public. To get your early tickets, please visit Ticketmaster at the following link to purchase them before anyone else knows about the show! For those of you not located near San Jose, we will be announcing a full concert schedule for 2006 in the near future, so stay tuned. We are sending this Monday the questions for a pending interview to Keith R.A. DeCandido. If you wish to find out more of the upcoming World of Warcraft: Cycle of Hatred Novel Pocketbook feel free to submit your questions. The submissions will be considered and added to the roster of questions for the interview. We want to make our visitors and community an integral part of our Q&As and interviews. We got ahold of an excerpt of the book for your visual and mind-boggling-drooling delight. Read below . . .
Post a Comment and submit your question for the interview. Wow-Europe.com has added a new Wallpaper displaying Lady Sylvanas and her loyal puppet Varimathras. The Wallpaper is available in different sizes to meet your monitor’s resolution. Go download it Here. This was really a fast bugfix update. Patch 1.9.2 is available now and won’t require realm restarts. How sweet! Characters should no longer appear to “pop” around terrain. Movement should be smoother once again. The Public Q&A with Cory Jones—Upper Deck Entertainment Director of Brand and New Product Development was a blast! We discussed many details of the upcoming World of Warcraft Trading Card Game 2006 (TCG). The transcript is available. Everything you wanted to know about the TCG was revealed! Blizzard Entertainment has granted an exclusive screenshot of World of Warcraft: The Burning Crusade Expansion, displaying one of the chambers of the Tower of Kharazhan, known as the Tower of Medivh in Warcraft: The Last Guardian and chapter 8 of the Human Campaign in Warcraft: Orcs and Humans. Choose any of the three image sizes. The World of Warcraft: The Burning Crusade Video Tour 1 over at Gamespot shows the room of our exclusive screenshot—shown at BlizzCon 2005. It seems Sargeras/Medivh had a Michael Angelo-esque Artist create a Fresco-painting of Orchish angels on the ceiling. We recommend reading the book Warcraft: The Last Guardian by Jeff Grubb before The Burning Crusade expansion to appreciate the depth of this fabulous Tower’s history and lore. The quests in this instance will be mind-blowing with such rich lore. You may read an excerpt from the book: Chapter 9: Sands in the Hourglass to get a feeling of the book. Blizzard released Patch 1.9.1 to solve many bugs that affected gameplay. Changes were made for serious disconnection issues, Druid and Warrior charge desyncs when charging into water, Priest Mind Control desync, Warsong Gulch exploit, and other issues. Patch notes below. See three new screenshots from the World of Warcraft: The Burning Crusade. Last night’s Public Q&A with Cory Jones—Upper Deck Entertainment Director of Brand and New Product Development was a blast! We discussed many details of the upcoming World of Warcraft Trading Card Game 2006 (TCG). The transcript is already finished. However, we want Claudine Ricanor—Sr. Public Relations Specialist—to take a look to the transcript before making it public. We will release it sometime today, so stay tuned! World of Warcraft TCG Q&A Tonight !!! Don’t miss the Q&A tonight with Upper Deck Entertainment. Blizzard added a new feature that will allow players to keep track of which Realms are ahead in comparison with others, gathering resources for the War Efforts. This is a very cool graphical chart! Many Guilds united to complete the first part to opening the Gates of Ahn’Qiraj on Zul’jin (PvE) Server. We were there and witnessed the event. Check out our Video as proof, and read the dialogue text by the dragons and Fandral Staghelm. Blizzplanet & rp-pvp.com Lore Forums will conduct a Public Q&A with Upper Deck Entertainment to discuss their upcoming World of Warcraft Trading Card Game (TCG). Gamasutra interviewed Hamagami/Carroll principal and co-founder Justin Carroll, delving into the origins of his company’s work in the video game business, and its relationship with major players such as Blizzard. Hamagami/Carroll company was the creator of all Warcraft logos and other Blizzard games’ logos. GS: I’m currently looking at your logos for Warcraft, and I was wondering how you came about the look of each logo specifically. JC: Blizzard is another long-term relationship we’ve had, that connection came through the educational software thing. 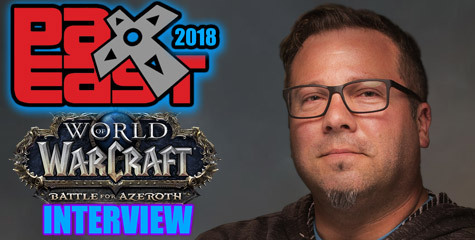 You asked a question before?what were some of the first packages we did?I think some of the first packages we did were for Warcraft, because we worked with Davidson Associates which was an educational software company and they bought Blizzard, so we started doing those titles because they were a part of Davidson, and that was what segued us into the video game industry?that and our experience in entertainment and toys. With those logos, we worked directly with the marketing department, but there’s also access to Blizzard people as well. And they are very particular, as with Id. Blizzard and Id are very similar in that they are very into what they do. So everything that you do, a lot of the challenge is just making sure that you’re pleasing the developer, because they’re so immersed in it that anything that’s just not absolutely on the money stands out like a sore thumb. We used to do packaging for all the Blizzard titles, now they do it in-house I believe and we just do the logos. And if you look at the World of Warcraft logo, that’s almost a whole package into itself. Gates of Ahn’Qiraj: Patch 1.9 Released! The World of Warcraft team is happy to announce the release of “The Gates of Ahn’Qiraj”, the new 1.9 content patch! Links below offer a preview of each feature included in this mega-jumbo patch. You can read the entire patch notes here. Fans with high reputation with Cenarion Hold will have a one-time chance per realm to drop the Scepter of the Shifting Sands which will allow to open the Gates of Ahn’Qiraj permanently for all players in the realm. If you missed the Test Servers, then watch our videos from the 20-players raid instance, showing the final boss encounter. World of Warcraft earned the Honorable Mention on the Gamespy’s Game of the Year 2005 on the PC Top 10 Games category—even when it was a MMORPG released on 2004. 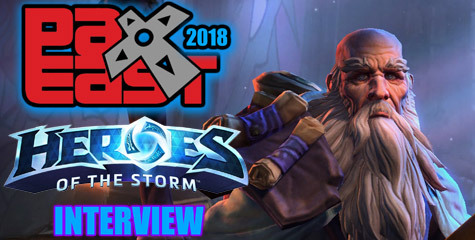 This will be a busy month with interviews and Q&As for rp-pvp & Blizzplanet. You may order both books at our Warcraft Pocketbooks section. Eyonix: “We’re happy to announce the opening of two new realms! If you’re a new visitor to the world of Azeroth, or a veteran looking for a fresh start, these are the realms for you! If you want us to add other info from Frozen Throne, suggestions are welcome. I had delayed the content of Warcraft III: Frozen Throne to add Warcraft: Orcs and Humans and Warcraft II Campaign Missions. Now that this is out of the way, I have resumed adding Campaign Missions of Frozen Throne once more. This time you can read the Human Campaign. Enjoy! If you want us to add other info from Frozen Throne, suggestions are welcome. Happy New Year to visitors of Blizzplanet, Blizzard Entertainment, to our programmer DarkNemesis, the Modding Communities of Star Alliance, Sovereign Empire, Campaign Creations and WC3Campaigns; and to the folks at Azzor.com our new Hosting. Big Shout Outs to our Warcraft Lore Forum Community over at RP-PvP.com and its admins Firence and Meara. Join the forums for some sweet lore discussion. We don’t want to forget wishing Happy New Year to our great Folks interviewed in the past at Blizzplanet: Richard A. Knaak, Christie Golden, Luke Johnson, Julian Kwasneski and his folks at Basound.com, Mike Huang, Glynnis Talken now under pseudonym Sarah McKerrigan, Bill Roper & Flagship Studios, Jason Hayes and Jeff Grubb. And why not? To some of the networks that have supported Blizzplanet’s news: Bluesnews, Ve3d(IGN), JudgeHype, WCRadio, RPGdot, Gamebanshee, Shacknews, Wow.Stratics, WowVault.IGN, Wow-Europe, Worldofwarcraft.com and others. Added an article that will make a few thrill in uncertainty and excitement. Is Teron Gorefiend in Kharazhan? This is speculation, but fuel for thought. Check out few evidences that might be interpreted as proof of Teron Gorefiend and the Death Knights of the Shadow Council be in Kharazhan. Added one new entry to our Wow Story Arcs section: The Mosh’aru Tablets and Hakkar the Soulflayer. How is this story arc important to the World of Warcraft storyline? It makes a connection between the Emerald Dream’s Nightmare affecting Eranikus and the Four Corrupted Dragons: Taerer, Emeriss, Lethon, and Ysondre; with the Old god C’Thun and Hakkar the Soulflayer. How’s that? We know that Eranikus the Green Dragon comments he is been corrupted by Hakkar in the Emerald Dream. And the troll Melthor in Yojamba Isle refers to Hakkar the Soulflayer as a Faceless One. Faceless Ones are known to serve the Old gods. Read the story arc. Our favorite Starcraft: Ghost babe Nova has gotten a backstory published today at the official site. Stay tuned for the upcoming Novel pocketbook named Starcraft Ghost: Nova—written by Keith R. DeCandido to be release March 2006. You can pre-order Starcraft Ghost Nova Here or visit our Pocketbooks section. Blizzplanet announces a new World of Warcraft Movie Contest. Four Winners will get a free World of Warcraft RPG Corebook Ruleset eBook and other winners will get a free registration code of GameCam (Full version). Showing some CM Humor, Eyonix replied that patch 1.9 will make the Graveyard of Raven Hill, Duskwood, work properly. This will alleviate a lot of the frustration of walking for 5 minutes to your corpse. [email protected]’dan: If you die in the Raven Hill,it is a really long distance to cover your corpse ,what do you think ,I just think the graveyard at Sentinel Hill is nearer than Duskwood’s if you die in Raven Hill. Just some complain ,can Blizzard make the death choose the graveyard much more “clever”? 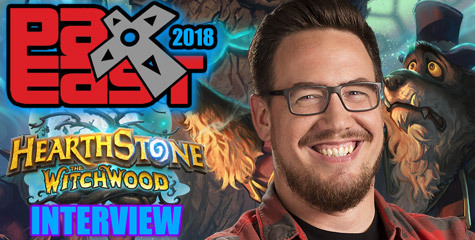 Eyonix: The good news is that the last content patch included a new graveyard at RavenHill, however, the bad news is that it’s not working correctly. Fortunately, this should be fixed in patch version 1.9. In the meantime, please follow the very simple work-around which has been outlined in great detail below, and tested extensively proving to be a successful way in which players can avoid encountering this bug.